Pearls are formed in shellfish – especially oysters and mussels and rarely by some snails – as a natural defence against an irritant, such as piece of grit. Layers of aragonite, known as nacre (or sometimes it is called mother-of-pearl), are secreted around the irritant, and gradually build up to form the solid pearl. The derivation of the name pearl is uncertain, but may be from a type of shell (Latin- perna) or from its spherical shape (Latin-Sphaerula). The size of pearls varies between a pin head and a pigeon’s egg. Hope pearl is the largest pearl ever found. It is 5cm long and weights 454ct; it is in the South Kensington Museum in London. cause the mollusc to produce a pearl by insertion of a foreign body. Chinese for the first time inserted small objects to the inner wall of a mollusc shell in 13th century so that they would covered with pearls material, however they were not successful. Japanese, in 1920, were the people who successfully made cultured pearls. There is little or no difference in the appearance of natural and cultured pearls. Differentiation between them is difficult. Their density can help, as it is greater than 2.73 in the case of most cultured pearls, while the density of natural pearls is usually lower. Pearls were once thought to be the tears of the gods. Natural pearls have been harvested from the Persian Gulf, the Gulf of Manaar (Indian Ocean), and the Red Sea for thousands of years. 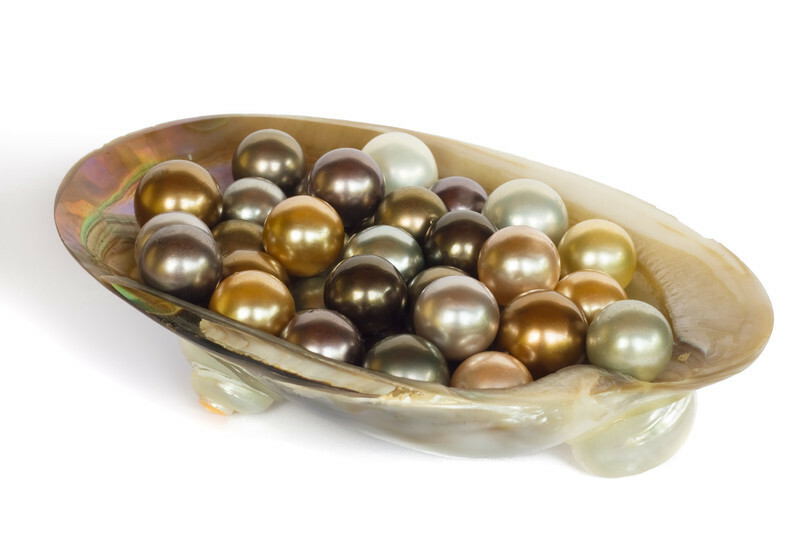 The coasts of Polynesia and Australia produce mainly cultured pearls. Freshwater pearls occur in the rivers of Scotland, Ireland, France, Austria, Germany and Mississippi (USA). You can find our interactive map for gemstone of the world Here. Almost all pearls are bleached to improve the color matching. Furthermore pearls can be dyed to almost any color; bright pinks, purples, greens, yellows, and more exotic colors, such as bronze or black, can be achieved through irradiation. If there is a crack in the skin of a pearl, there is a delicate operation, called skinning the pearl. During this operation the crack is removed by removing the outer layer of the pearl if the crack is not so deep. Pearl is a relatively soft (organic) gemstone therefore it should be used in protected designs. For instance, pearls are mainly used to make earrings or necklaces as they do experience a great deal of stress. Pearls set in rings, however, are subject to abrasions in daily wear, as well as soaps and lotions that can cause discoloration. Therefore, design a ring so that the metal rises above the pearl and blocks some of the potential impacts. Pearls jewellery should not be cleaned in ultrasonic machine as it can damage the nacre, especially around drill holes. Also, the chemicals used in the ultrasonic can attack the conchiolin layer, which can cause cracking over time. Pearls are very sensitive to the high temperatures (as it can damage organic proteins) therefore; pearls should not be cleaned in steam cleaners. 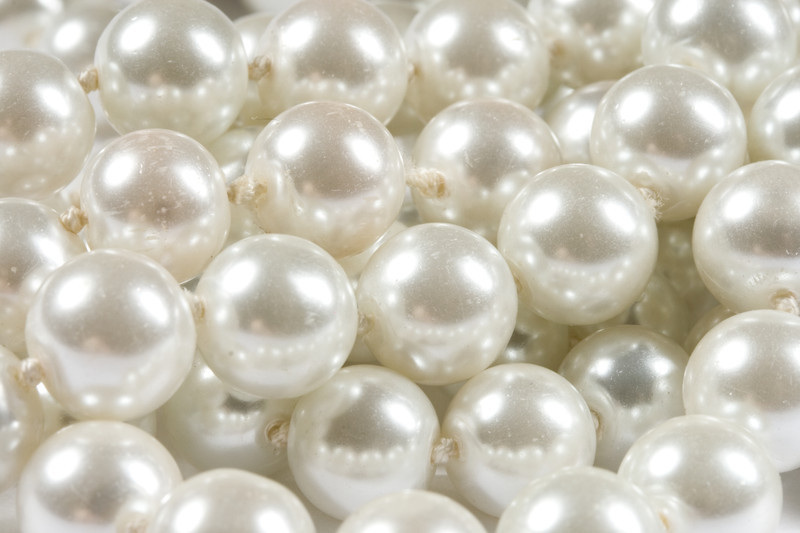 The best way to clean pearls is in clear water with a soft brush followed by a thorough rinse. Pearls should not come into contact with cosmetics, hairspray, perfume therefore pearl jewellery should be the last thing you put on before you go out and the first thing you take off when you get home. 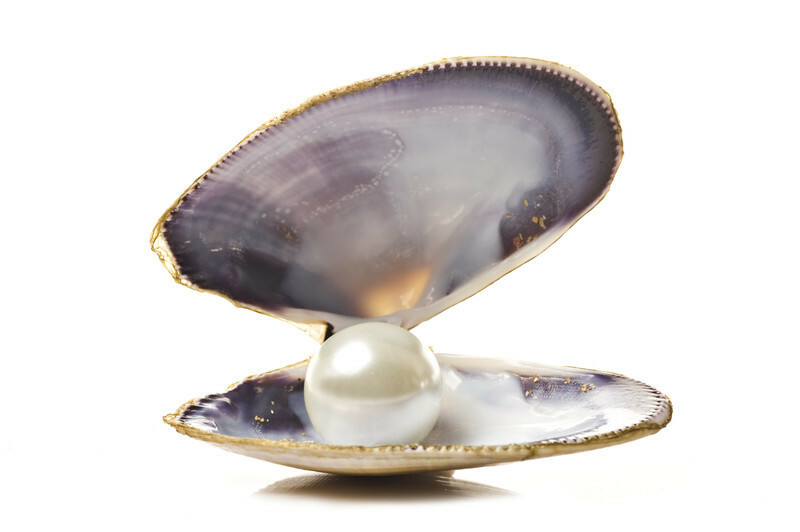 Size (diameter of the pearl) is the main factor in determining the price of pearl. Like others gems the bigger the pearl is, the higher the price will be, and the rise in the price is quite dramatic from smaller sizes to bigger sizes. For instance, a string of 9mm pearls would cost roughly ten times more than a string of 3mm pearls of the same length and quality. Lustre, size (weight), color, shape and clarity determine the quality and value of pearl jewellery. Among these parameters, lustre is the most important one as it gives the pearl its sharp shinny look and without lustre, pearl will look lifeless. In a lustrous pearl the crystals of aragonite, which construct the pearl, are evenly distributed and have a strong hexagonal form. These plates of aragonite break up the light into its primary colors (this is also called orient) and give a good pearl its lively quality . Therefore, if these plates are thinly scattered, they cannot break up the light and the play of the light will not present. So, next time you are buying a pearl jewellery, make sure it has a good lustre (pearls with poor lustre weight less than fine pearls). Another method to ensure that you are buying a good quality pearl is to ask the jeweller to show you different pearls with different qualities. It is not difficult to differentiate a good pearl with a good lustre with a bad one. 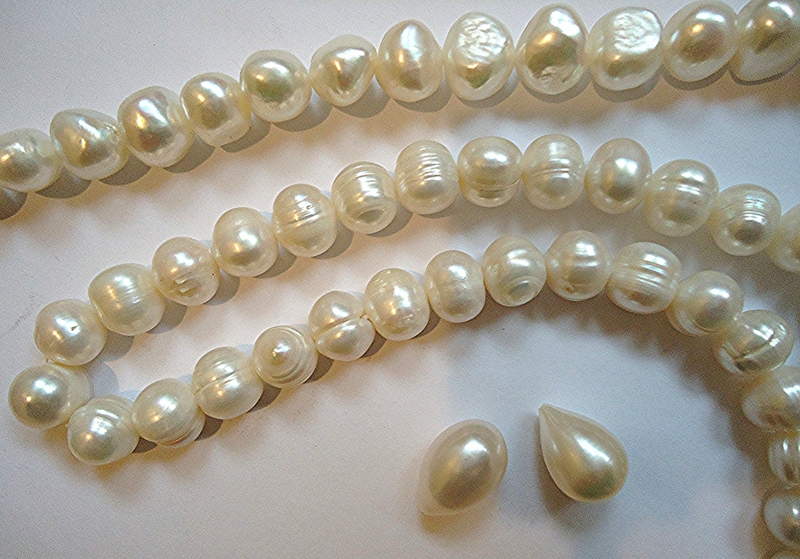 In terms of color, high quality pearls show uniform color and shade. Good clarity is the next thing to check when you are buying a good quality pearl. By 'clarity' we mean the absence of flaws. 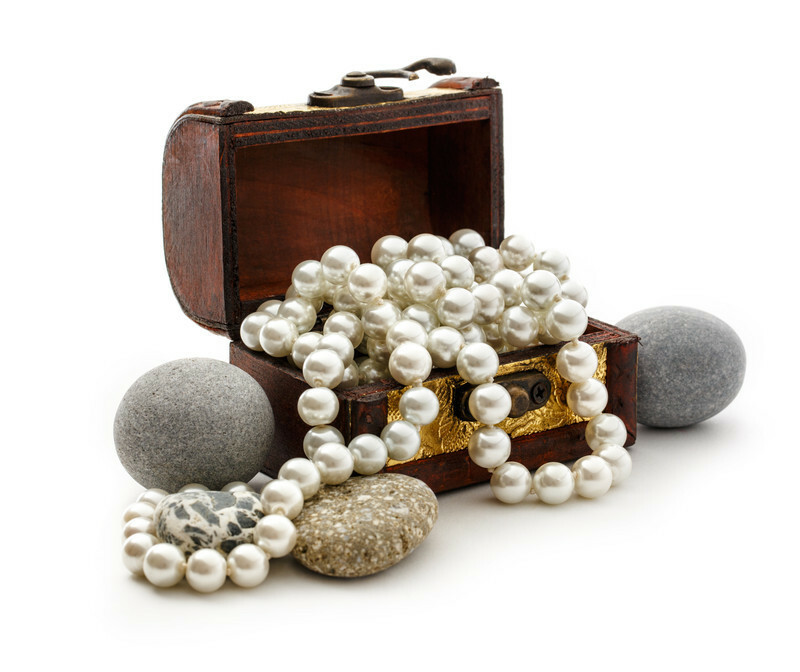 Therefore, before buying, pearls should be inspected for surface marks, dents, bumps and internal spots. Another factor in determining the quality of pearl is the shape of it. A good pearl will be in a shape of perfect sphere. This can be checked by rolling the pearl on a flat surface. If the pearl runs smoothly it is round, otherwise, (tendency to wobble) it is not spherical. So next time you are buying a pearl, make sure you are buying a round one. The last tip is for buying black pearls. Sometimes the black pearls are produced by staining (as opposed to natural black pearls which get their color from a layer of organic substance below the nacre layer). Stained black pearls tend to fade in wear, therefore, it is a important to avoid buying stained black pearls.